Musician, lyricist, songwriter, and producer, Sean Michael Imler AKA Rhythma, traveled through Europe for over 6 months with his guitar and a 4-track machine-composing, singing, performing, and recording when he was just 21. He began the fusion of his artistic and musical talents in Santa Cruz, California, while he was an art student at UCSC and an African hand drum student of Arthur Hull's. Heavily influenced by African traditions he became an mbira player, studying with every master from Zimbabwe that came thru the area. He also played marimba for five years with the Kuzanga ensemble. Sean Michael continued to compose music, all the while absorbing and integrating the rich and diverse rhythms of the Santa Cruz World Music scene. Sean Michael's influences spring from his youth in Hollywood, where he began playing classical piano at age 8 with the encouragement of his mother, who held band rehearsals in their living room and earned a living wage singing in LA nightclubs. As a teenager, he bought a nylon-string guitar on which he practiced classical music, and demonstrated an early aptitude for fusing diverse styles by learning songs by the Misfits and Minor Threat (and playing these same strings in a punk band). Sean Michael's influences now range from classical Middle Eastern music to South American and Caribbean derived slave music to the 1980s gothic, punk, and ska that characterize his own Southern California roots. 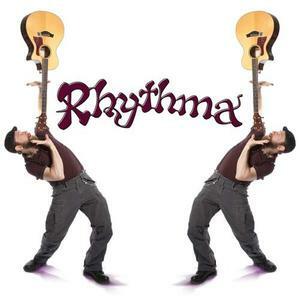 Sean Michael spent years learning and refining the technical aspects of tracking and recording before releasing his first self-titled CD, Rhythma, in 2005, which is comprised entirely of music he wrote, played, sung, and recorded. On his 2009 CD, Between the Lines, he collaborated with cellist Harry Gilbert, a member of the eco-folk-rock quartet, Sagewing, and the Composers Ensemble in Los Angeles. For this CD, Sean Michael has also teamed up with Gary Kehoe, drummer, and Marcel Menard, percussionist in the Santa Cruz based band, Sambada; Boris Burtin, keyboardist for the Bay Area Jazz band, Code Name Jonah; and Charles K. Brown, a singer/songwriter from Nashville. In his music, Sean Michael Imler draws on the religious ceremonial power around which the African musical tradition is based and combines this with lyrics that inform, challenge, and attract audience members who are interested in social change and alternative media. In the tradition of the traveling storyteller or griot, Sean Michael's lyrics are driven by, wrapped and re-wrapped in rhythm, revealing complex, continuously shifting perspectives. When he is not composing, collaborating, or performing near his home in San Jose, Sean Michael works as a prototyper for Yahoo! and performs all over the United States on his acoustic guitar. Imler prefers alternative venues like resorts, cafes, festivals, and campground gatherings, where listeners are willing to engage the part of themselves that is playful, relaxed, and open to transformation.